The band was started in November 2001 in Lindesberg, Sweden. Two demos was recorded back then. MarAmon has also changed a lot of members and the only original members left since the beginning is Peter Ristiharju, vocals and Christer Karlsson, guitar. The others are Henrik Tranemyr, guitar (The Bereaved), Denny Axelsson, bass (ex. Calm, ex. Within Reach),Pär Hjulström, drums (ex. Amaran) and Tony Thorén, keyboard (The Bereaved). 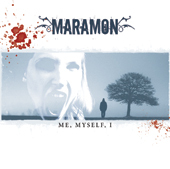 A mini-CD named “Me,Myself,I” is also recorded and released by Cyniscope Records. Rickard Källqwist - Guest Guitars on "Me, Myself, I"
Martin Jacobsson - Guest Drums "Me, Myself, I"